Terry and Faye Gordon, first graduate's parents, and Terrance and Sandra Robinson, last graduate's parents. With this constant reminder and a nod toward taking consumerism down a peg or two, Sarah Redden Williams contemplated how she and her family could honor the Spirit of Giving and the Spirit of Fellowship while honoring the legacy of learning long ingrained in the family. Williams was a teacher/educator. Her mother had been a teacher/educator whose daughters and son would become teachers/educators and whose granddaughter would continue the legacy of teacher/educators. Christmas with Sarah Williams was a stepping stone to higher education for all of her grandchildren. The old tradition was to pull names from a hat and designate an amount that the gift should cost. The family would exchange gifts, but after the sweater had been worn and the perfume used, there was nothing to show for the funds that had been expended. On the first Saturday in December 1987, she addressed the family that had gathered for the annual Natchitoches Christmas Festival and presented an idea. She expressed a desire that the family no longer support the latest fad or engage in shopping therapy, but invest in the lives and futures of the children, her grandchildren, whom she had decreed would all be college educated. The proposal required the group to establish a scholarship fund into which each family would contribute. Once the child entered college, he or she would be eligible to receive a scholarship to assist them during their matriculation. 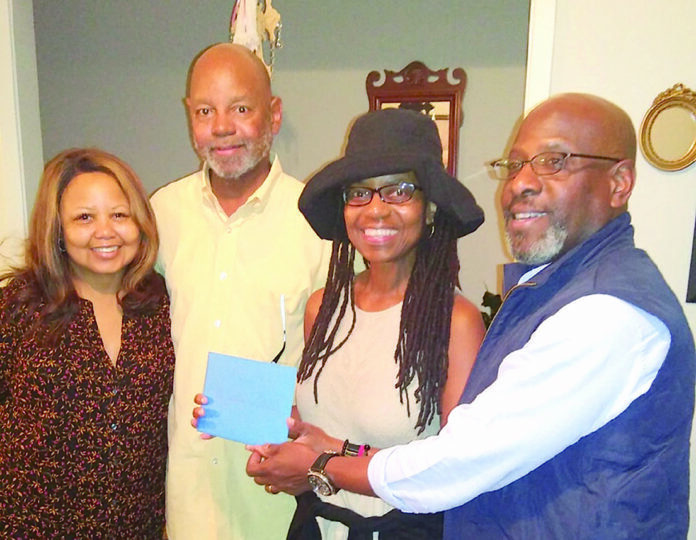 The proposal was received favorably and the Sarah Williams Scholarship Fund was established. The mission was to provide financial assistance to the grandchildren until the last one graduated college. Last Saturday, Dec. 2, the mission was completed as the last grandchild is slated to graduate on or about Dec. 16. The goal set in 1987 has yielded tangible benefits of degrees and advanced degrees as described in the biographies submitted by the participants. The torch has been passed and they have committed to continue the scholarship fund. To see bios on each of the recipients, pick up a copy of the Dec. 7, 2018 edition. Now on newsstands.